Superleague Formula: Real deal, or white elephant? Superleague Formula is set to launch its inaugural season with an opening round at Donington later this year. And the reaction of most racing fans thus far has probably been ... apathy. With some justification, it has to be said. After all, another new open-wheel series seems to be the last thing the world needs, never mind one built upon what could easily been taken for a gimmicky premise that has already failed. So is there any reason to take it seriously? Autosport.com spoke to Superleague Formula president and CEO Alex Andreu late last year to find out whether there is any substance behind all the talk. The Spaniard does not come from a racing background ("although I am a gentleman racer in Caterhams," he grins) but he does have some solid sports marketing credentials, having worked with some distinction on the Olympics, the World Skiing Championships, FIFA and FINA. MG: Can you explain how you developed the concept? Alex Andreu: "I was very interested in combining motorsport and football at the beginning. And the more you get into it, and the more you develop the idea, it was fascinating. "If you were to try to extend the brand of football into any other sport, it would be difficult because it doesn't have the worldwide reach that motorsport, and in this particular case, high-performance, open-wheel cars have, it would be difficult. "Some people in England might like to see their football club go into cricket or whatever, but I think that would be very restricted. So you have to very big, global sports getting together. It's great. "An important thing is, the football clubs can only extend their brand, or make their fans worldwide experience what FC Barcelona, or what Milan, or what Flamengos is, is by bringing the football team. "So people around the world who support Manchester United or FC Barcelona, unless you bring the football team there, they cannot really touch the real thing. 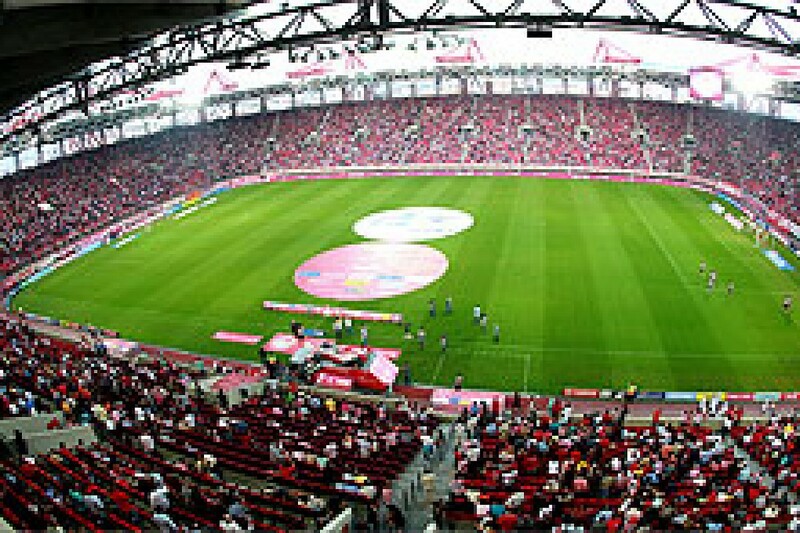 "And they have seen with this project, with Superleague Formula, a way to extend the project and export the brand beyond their territory without having to bring the football team. So it is great for them. It is a tool of brand extension without having to use the players." MG: So that is the basic premise? It's essentially a football marketing exercise? Andreu: "It is one of the big assets. For the football clubs it is communication, big revenue, it's fan engagement, and it's taking the brand somewhere else. 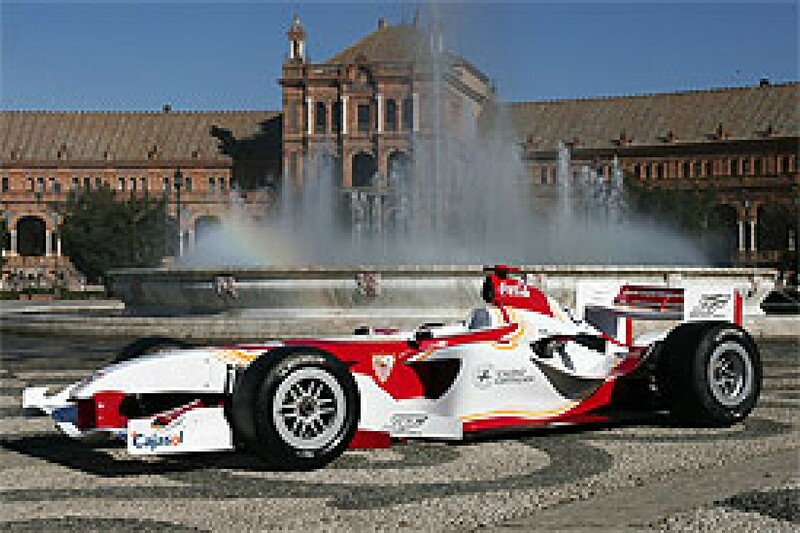 In the first year we'll race in Europe, but later on they could be in China, in Brazil, in Mexico with our brand image. "And another thing is, they would be competing against each other at every race weekend. It's not Chelsea playing against Milan and then maybe not playing them again for four years because they haven't made the Champions League. "Here, they have the opportunity to fight against each other at every race. That kind of atmosphere, and for the fans ... 'oh, we've been beaten by Juventus, but next week we'll try again'. It's fascinating. "The other thing from a sponsorship perspective is that the clubs have sold the shirt, they've sold all the signage around the ground and they've sold the minor sponsors on the sleeve ... they've basically run out of room, they've run out of properties for the sponsors to put their brand on. "So if I'm a sponsor with a big organisation and I want to be involved with AC Milan, I can't buy the shirt and I can't buy a spot at the ground, but I could buy a spot on the race car. Whoever is on the team shirt may be on the car - but it may be someone else on the car. "The only sponsor on the AC Milan shirt that touches the team's colours is B-Win and Adidas, because it's the sportswear supplier. All the others are either on a video board on the pitch, or on a backdrop if they have a press conference. So they are not, touching the colours. "Here, for the first time, they can be touching the colours, touching the real thing. For commercial purposes you can generate great value because they can be on the real thing. "And we finally managed to convince everybody that the car is not the problem. The car can just be ordered, paid for, and we can have any car. There are plenty of suppliers out there that can give us a car. The important thing was the concept - test the concept, test whether this crossover would work. "We did some research, and then we went to the top football clubs in Europe - Juventus, FC Barcelona, Liverpool, Manchester ... we did qualitative research, and the reaction from the fans was absolutely amazing. They went mad for it. And then once they had seen the car, they went mental." Andreu: "I think the difference was that ... an idea is not enough. You need to develop the concept. When you have the concept you have to go and deliver a product, and then you need to go and wrap it up with the execution. So I think that before it was an idea, and it was a good idea, but it was not taken beyond the idea stage. "But we have been developing the project for four years now. We haven't gone public until we were ready, and also with FINA we decided that it was not worth trying to launch this publicly unless everything was there. "If you had asked me a year ago whether this was able to happen, I would have told you no. We did not have the FIA approval, we did not have the calendar approved, we had not started the engine and car production, we did not have enough football clubs on board. "Now, everything is flowing and we're nearly there. What I think has been very different is the development of the concept and product, and the execution of the plan that we are now putting in place. It's just working. So that's our main asset." Andreu: "A1GP, for me, has two main differences. One is that the concept is totally different. If you had a car from Spain, nobody cares. I think the emotional hook, country against club, is ten times stronger with the club. "The second thing is that I think the obligation to have drivers of the nationality of the entry restricts the potential of competition. Nobody knows a Singapore driver. "The third is that they have gone into southern hemisphere countries where motorsport is not a big sport. If you go into South Africa, Singapore, Malaysia and all that ... and the TV coverage is very poor, because of the time zone, and because it is on pay TV. "So I think that one after the other, those elements need to be addressed from the very beginning, otherwise they might start limping. But the most important thing for me is the concept. We had 90,000 people when we were in Brazil presenting the Flamengo car. The noise was just breathtaking." MG: You have said elsewhere that the funding for the first season is already locked away, but is it financially viable for the teams? Andreu: "It is the series that will generate money from sponsorship, from licensing, from TV rights, and then this money will be distributed across the board between the race teams, between the clubs and with us. "And then we give one million euros in prize money per race weekend for the first three years, and 1.5 million as from year four. So I think that only with prize money, drivers and race teams will be highly motivated, because a win for the first race is 100,000 euros and you can make quite a lot of money just from prize money." MG: Who is responsible for preparing and running the cars? Andreu: "Astromega will be running (Belgian team) RSC Anderlecht and Flamengo in Brazil. (MG: More teams have been signed to run cars since this interview was conducted). "We select the race teams, we propose them to the football club, then the football club approves the nomination of the race team, and then the race team proposes a driver, and then the football club approves the driver. And then once the driver has been approved, then it is like a normal race team. "You have to run everything, but with a big difference. 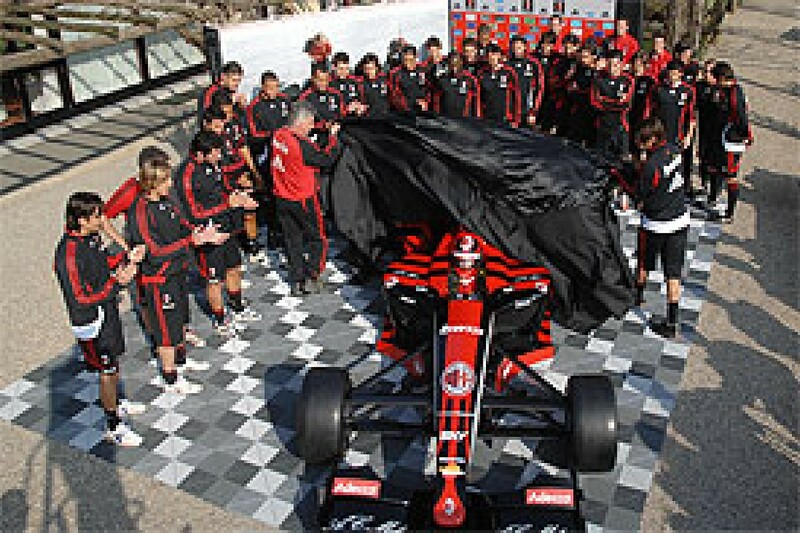 Before, a race team was given a blue, yellow or red car, whereas here, they are given the Anderlecht brand or the Flamengo brand or the Manchester United brand or the AC Milan brand. For them it is a different kind of commercial positioning, and that is the strength of the concept." MG: What is the format of a race weekend? Andreu: "On Sunday we will have two races of 50 minutes. One is as per the qualifying, the second with a complete reverse grid, but with an extra point if you overtake whoever started ahead of you. So you get an extra point there. That will encourage passing. "In qualifying, in the morning you will have two or three hours of pre-qualifying, and then you will have official qualifying. In the official qualifying, will be like this. You have 20 teams in the first year. You will have two groups of 10, and those two groups of 10 will be formed by drawing. "So the drivers will go in the morning, and they will select them and be grouped into groups of 10. The four fastest of each group will qualify for a match race to decide 8, 7, 6, 5, 4, 3, 2, 1. "The whole focus is upon entertainment. Our tagline is, 'It's more than a race'. It's a whole weekend of entertainment; it's families going out, it's Mum going off and having a massage and her nails done while Dad is watching the cars racing around." One thing you can say about Superleague Formula is that unlike its predecessor, it looks likely that it will progress to the point of cars actually taking to the track. That is still not a guarantee of success - just look at GP Masters - but it is something. But beyond that, what does it offer to the average race fan? That depends upon what you're looking for. If you are a purist then Superleague is probably too adulterated to appeal, although if the teams manage to recruit some half-decent drivers then the spectacle of a bunch of competently-wielded, 750 bhp V12s racing around the place will be worth watching. 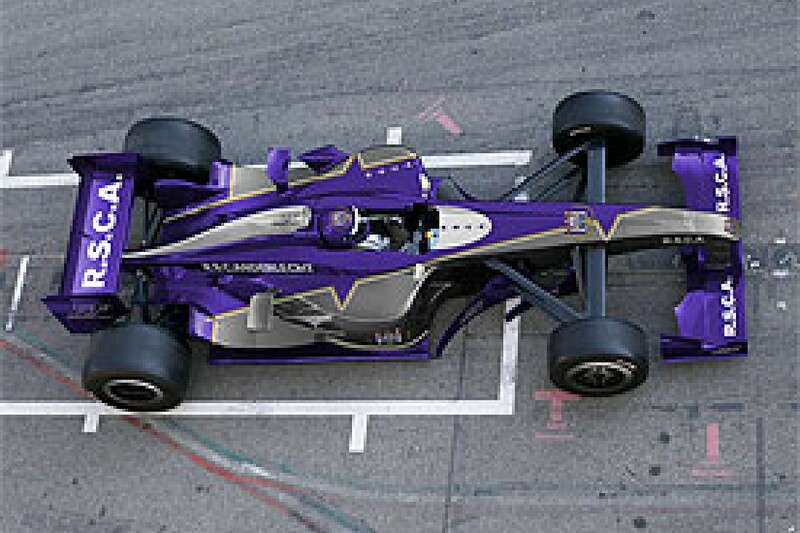 Plus, it is bereft of the air of self-importance that some people seem to find so irritating in the case of A1 GP. If you can accept Superleague for what it is - an extravagant marketing exercise - and just watch it for the sake of enjoying some motorsport, it could prove to be an entertaining diversion from the more established categories. At the end of the day, it's not being aimed at racing people anyway, so if a few extra football fans use Superleague as a launching pad into following F1 and other forms of motorsport, then that's a bonus. My own view? Andreu may not have a racing background, but that is not necessarily a disadvantage, and you can't argue that he doesn't have a head for marketing, or the ability to think outside the box. Whether or not I'll actually follow the Superleague ... well, it depends. On paper, I like the look of the technical package (see sidebar), and hearing 20 V12s hammering around does sound appealing. (Plus, I am a Sevilla fan, and it will be goofily cool to see an open-wheeler decked out in the team's red and white strip). I guess I'll approach it the same way I did A1 GP. I'll give it the benefit of the doubt until I have the chance to attend a round - and if I like it, great, if I don't, I'll simply stop watching. If the concept is as watertight as Andreu believes, there'll be enough football fans there for it not to matter. Teams will use identical carbon fibre Panoz chassis developed by Elan Motorsport Technologies in the USA. The gearboxes are six-speed paddle-shift units supplied by Hewland, with an AP triple-plate clutch and Brembo brake pads and calipers. The tyre supplier is yet to be formally announced. Show cars are wheeled out with Avon rubber, although series representatives say that this will not be the case when they go racing. The series website appears to indicate that the tyres will come from Michelin. Superleague Formula plans for a 20-car field in its first year, with a few to possibly expanding to 26 further down the track. At present, 12 clubs from Europe and South America have been announced - AC Milan, RSC Anderlecht, Borussia Dortmund, Corinthians, FC Basel, Flamengo, Galatasaray SK, PSV Eindhoven, FC Sevilla, FC Porto and Olympiacos, with the remaining clubs, including the British entries, to be announced shortly. Clubs sign five-year deals, with options to extend further. No drivers have yet been confirmed.